Dedicated volunteers make up a large part of our workforce and we schedule their hours according to animal care needs. It is vitally important that volunteers show up for their shifts. While people come to Animal Care Sanctuary because they love animals, Animal Care Sanctuary volunteers must also be able to work well with other people. Animal Care Sanctuary isn’t just about animals—it’s about people helping animals. For everyone’s protection, volunteers must use the safe animal handling techniques taught in their required training. All tasks, from cleaning cages to stuffing envelopes, have specific procedures. Volunteers must adhere to these procedures unless a staff member directs them otherwise. Once volunteers know their work routines, they are expected to work with minimal supervision. Following through on tasks ensures the animals are receiving the best possible care. Staff are always available to answer questions. Be of age. Volunteer positions have a minimum age requirement of 18. Under 18? 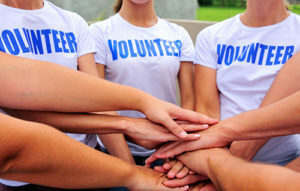 Check out these youth volunteer opportunities. Be in the area. Most opportunities are at Animal Care Sanctuary headquarters in East Smithfield,PA. There are also some positions available at Animal Care Sanctuary in Wellsboro, PA. Please consider the potential commute before applying to volunteer. Submit an online application. Go here to fill out a Volunteer Application and tell us a bit about yourself. Attend an orientation. You will learn about the volunteer positions available at Animal Care Sanctuary, our history and policies. Choose a position and shift. Peruse the volunteer position descriptions to see what kinds of positions Animal Care Sanctuary has available. Make a commitment. There are some flexible options, but a small time commitment is required for most volunteer positions. Please note: Animal Care Sanctuary cannot accommodate those seeking to fulfill court-ordered community service.